Betty was born on 18th February 1805 in Newby Cote; she is the second daughter of John Foster (b. 1758) and Judith Scott (1753-1837), their first child, Judith, was born two years ealier in 1803. 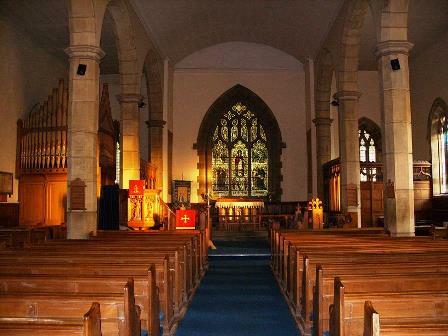 Betty was baptised on 31st March 1805 at St. James, Clapham. 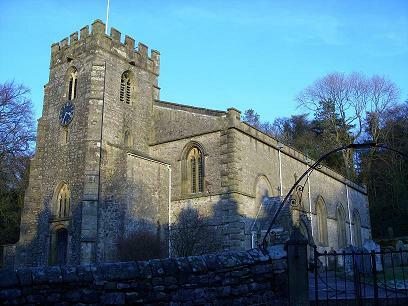 The next we hear about Betty is from the 1841 census when she is living in Newby with her father, John, who is 80. Betty, or Elizabeth as she is called in the census, is 35. There is also an Ann Foster aged 8; it seems likely that this might be an illegitimate daughter of Betty. I have searched the records and cannot find anymore information about Ann. I think this is our Betty as she is called Elizabeth or Betty in other records and also, Sarah Robinson, who is a lodger with the Fosters for many years is, at this time, a neighbour. In 1841 Betty gives birth to Christopher followed by Isabella in 1844; both are born at Newby Cote. Ten years later, in the 1861 census, the family are still in Newby Cote. Robert is aged 68 years and is now a butcher; Betty is identified as Elizabeth and she is 57 years old. Christopher is no longer living with them (he is a general servant at Clapdale, Clapham), Isabella is aged 17 years is still at home and there is also Elizabeth, their grand-daughter, who is four months old and Isabella's illegitimate daughter. There are still three lodgers: Sarah Robinson, 80; William Cole, 54; and Edmund Foster, 64 years and born in Newby. Both William and Edmund are agricultural labourers. By 1871 Robert is aged 78 and still a farmer working two acres; Elizabeth is 65 years old and the children have both left home. However, they still have lodgers: Sarah L. Robinson who is now said to be 100 years old, a widow and is now said to have been born in Blackburn; she is identified as 'a lunatic' (it seems people with dementia were labelled lunatics); William Cole is now aged 64 and is said to have been born in Chester, and we are back to Edward Foster, who is now 73 with an occupation of stone breaker. Robert dies on 21st March 1873 aged 79. In the 1881 census Betty (down as Elizabeth) is now living in Newby and is still sharing her home with William Cole who is now identified as her nephew and is 72 and unmarried. No doubt Isabella is also baptised at St. James. We know that when she is 17 she is living with her parents and has an illegitimate daughter, Elizabeth, born in 1861. Isabella gets married the same year, again probably at St. James, to John Moore. In the next census, 1871, she is living with her husband, John, who is significantly older than her: he is 50 and a retired farmer born at Gill Garth; Isabella is 27 and her illegitimate daughter, Elizabeth is now called Moore and is 10 years old. Elizabeth now has two younger brothers, Christopher 8 and John 8 months. Both were born in Newby. The family are living in Newby not too far from Betty's parents. In 1881 Isabella and her son John, who is now 10, are living next door but one to her mother in Newby. Her husband, John and son Christopher are both working away at Bowsber in Clapham as farm servants whilst her daughter, Elizabeth (back with the surname Foster), is a general servant for James Hunter Knox GP and wife Annie, living in Clapham. By 1891 Isabella, John and their son, John are together in Newby but by 1901 they have moved to Far Surgill Head, Lothersdale. 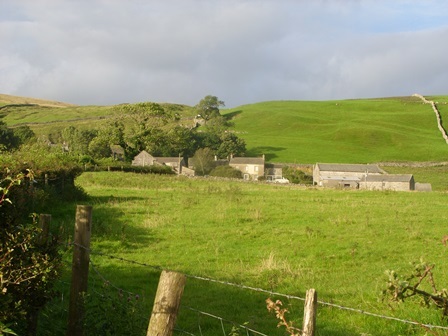 John, now aged 81 and their son John, 31 will be tenant farmers; the farm has an interesting history and is described in The History of Lothersdale, page 54. In the 1911 census, Isabella is living on her own at North View Terrace at Lothersdale in Keighley; she is 67 and is still working as a charwoman. Isabella probably dies in December 1925 at the age of 81 but I would need to acquire the death certificate to confirm this.